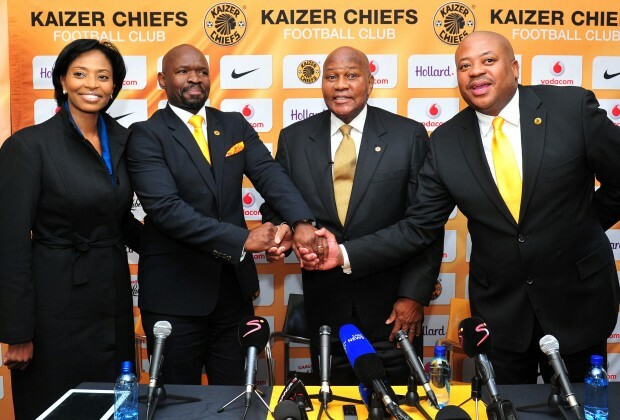 With the big news confirmed today of Steve Komphela being appointed as Stuart Baxter’s successor at Kaizer Chiefs, we look back at an interview from June 2012 where Komphela discusses his use of Prozone performance analysis and video analysis in his coaching. This interview provides the best insight into the workings of Kaizer Chiefs’ new head coach and his modern methods. 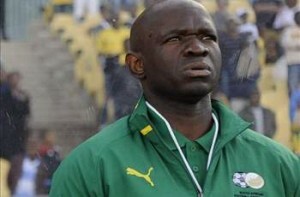 At the time of the interview, Komphela was caretaker coach of Bafana Bafana and head coach of Free State Stars. Q – It’s been a good season for Free State Stars, 6th in the PSL and a powerful run in the Nedbank Cup reaching the semi finals. What has changed in the team this season? SK – Nothing has changed, we only improved areas from last season where we thought we could do better: We PROFILE better, we PLAN better, we PREPARE thoroughly, we PARTICIPATE/PLAY with intensity. Q – Teams find Bethlehem a tough away fixture. What makes your side difficult to beat at home? SK – It is not only at home, we are also difficult to beat on the road. Our collective approach and good control of all phases of the game had been our secret. Q – Free State Stars are known for being full of energy and applying an aggressive pressing game. What player attributes are essential to play this style? SK – A pressing approach demands that players remain in top physical condition individually and possess a sense of camaraderie or good team spirit. Our players must have good physical condition and great team spirit. In marking (pressing in this instance) you cannot only have the physical condition, the players’ state of mind and attitude must be correct. All the above are completed by knowing the moments and times for pressing. All the above attributes are essential to our pressing game. Q – How do you get the players to buy into this philosophy? SK – Clear objectives, a clear tactical plan, clear strategies, both offensive and defensive. It is important to infiltrate the player’s mind. Explain clearly to them what is expected, required, then assist the player to move to his optimum performance zone. You might even need to use different techniques including motivation. The players need to know WHAT you need and HOW to get there. Q – More teams are using tactical and physical data to analyze games and performances. How has Prozone assisted in preparations and results? SK – Nowhere in the world shall you find destination without the address. Nowhere in the world shall you move forward without the compass. Data is key. Without data, its proper analysis, interpretation and use, we cannot PLAN or PREPARE and as a result, we cannot compete and win. Prozone helps a lot with PROFILING the opponent. We use it to give us feedback as well. Feedback is breakfast of champions. With feedback you can improve on that information given. Q – How do you prepare your team for matches? Q – Would you recommend or suggest the need for clubs to employ full time analysts to support the coaching staff? SK – It is a must in modern football. Q – You’ve conceded 12 goals from opposition winning the ball in their half and then scoring on the counter. Do you think the playing style has contributed to this? SK – Surely it has, but, compliment to those who scored against us because they must have profiled us and came up with a perfect plan, they executed well. Q – Will you continue using Prozone & their analysts next season? SK – I don’t see myself without Prozone. It is to me what saliva would be to the tongue. Q – When you compare the financial muscle at your disposal, compared to that of other PSL teams, how important was it for the club to break into the Top 8? 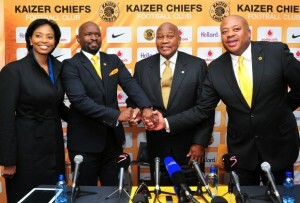 With a modern coach like Komphela at the helm, Chiefs are in good hands for the future. With his use of analysing opposition, expect Chiefs to be meticulously prepared. This will also certainly be a help for Chiefs in the African Champions League and well as for Player Recruitment. The side have lost four very important players in recent months in Itumeleng Khune, Tefu Mashamaite, Mandla Masango and Kingston Nkhatha. Whilst replacement for Masango and Khune could be found internally, top class signings are required in central defence and up front. Will Bafana Bafana Ever Find Another Benni McCarthy?